Looking for something interesting to do this weekend? Perhaps something adventurous, relaxing or just different from your usual fare? Take a look at our list of events and happenings going on this weekend and head to whichever strikes your fancy! Are you passionate about the environment and hyper-conscious about where your power supply comes from? Get the information from experts and lawmakers who are familiar with the field at the “Is Nuclear Power an Option for Malaysia?” forum, organised by the Malaysian Bar Council. The government recently stated that it is still studying if nuclear power should be harnessed to meet the nation’s future energy needs. But non-governmental organisations (NGOs) claim that the administration is not being transparent about how advanced its plans are, and that there has been an absence of sincere public consultation. More worryingly, NGOs are warning against the dissemination of false information by the nuclear industry and other vested interests. This forum comes at a crucial time because the Malaysia Nuclear Power Corp, tasked with assisting the government in deciding whether or not to embrace nuclear power, was expected to get Malaysia “nuclear-ready” by the end of 2013. The Economic Transformation Programme lists the deployment of nuclear power by 2021. The speakers at the forum will be Klang MP Charles Santiago, Malaysia Nuclear Power Corp chief executive officer Dr Mohd Zamzam Jaafar, Citizens’ Nuclear Information Centre (Japan) editor and liaison officer Hajime Matsukubo, Malaysian Medical Association past-president and anti-nuclear activist Dr Ronald McCoy and Kiu Jia Yaw who is a member of the Bar Council Environment & Climate Change committee which is hosting the forum. The event will take place tomorrow from 10am to 3.30pm at the Raja Aziz Addruse Auditorium, Bar Council, on Leboh Pasar Besar, Kuala Lumpur. 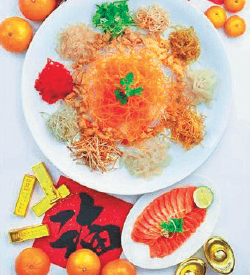 Be served with “yee sang” (from RM68 to RM198), prosperity set menus (from RM1,188 to RM1,588), waxed meat (RM40 to RM98), “nian gao”, or sticky rice cakes also known as Chinese New Year cake (RM9.80), and much more! Enjoy these delicacies from now till March 5 at lunch or dinner. Xin Cuisine is located at Concorde Hotel, Jalan Sultan Ismail, Kuala Lumpur. For reservations, call (03) 2144 8750. Before the promotion ends tomorrow, take advantage of the sale that offers irresistible deals to London, Hong Kong, Sydney, Bangkok, Guangzhou, Tokyo, Perth and even domestic destinations for those who want to stay closer to home. Prices start from as low as RM129 return all-inclusive for domestic and RM199 return all-inclusive for international routes on Economy Class. For those who want to travel in style, Business Class prices start from RM699 for domestic and international routes. MAS has said that flights for domestic routes remain the most-booked destinations but following closely are London, Bali, Hong Kong and Bangkok. Travel period is up to Nov 30, 2015, and there are still plenty of seats left. Log on to www.malaysiaairlines.com or call 1300 88 3000 (24-hour call centre), visit ticketing offices or call participating travel agents for more details. Melissa is back with her next series of throwback cover shows as she takes you on a journey through the 1990s and early 2000s. You’ll be going on a ride across genres with some of the most popular songs of the era. With a fresh new approach, she’ll not play the original versions of these familiar songs, but reinvent them in her own style. 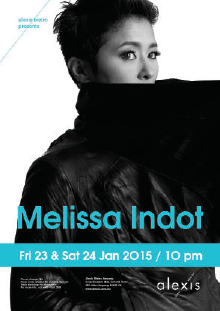 As usual, she’ll also mix things up with some of her original tunes from her MDot album released last year. Make your way there and be ready to reminisce with music from Massive Attack, Jamiroquai, Outkast, Lenny Kravitz, Macy Gray, Zero 7 and Natalie Imbruglia. Admission is free, and a dress code of no shorts and slippers applies. Children under 10 will not be allowed entry during the performance. For more information, call (03) 4260 2288. Grab the opportunity to meet university representatives from some of the top universities in the United States, both public and private, and also both large and small. At 2.30pm, talks will be hosted by university representatives, and at 3pm, another talk by the US Embassy on how to apply for student visas will take place. Among the universities that will be participating are California State University, Columbia College, Iowa State University, Purdue University, University of San Francisco, University of Arizona and SUNY Buffalo. For further information, call (03) 2166 8878. 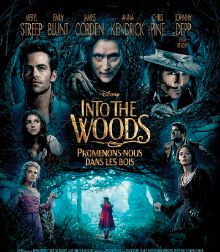 Into the Woods — Starring James Corden, Emily Blunt, Meryl Streep and Johnny Depp, this movie is based on the award-winning musical by Stephen Sondheim and book by James Lapine. The musical intertwines the plots of several Brothers Grimm fairy tales such as Little Red Riding Hood, Jack and the Beanstalk, Rapunzel and Cinderella, and follows them to explore the consequences of the characters’ wishes and quests. These plots are tied together by an original story involving a baker and his wife and their quest to begin a family, and their interaction with a witch and her curse on them. 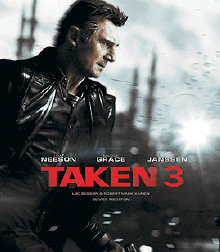 Taken 3 — Liam Neeson strikes again with yet another instalment of the Taken series. He returns as ex-covert operative Bryan Mills, whose reconciliation with his ex-wife is tragically cut short when she is brutally murdered. Consumed with rage, and framed for the crime, he goes on the run to evade the relentless pursuit of the CIA, FBI and police. For one last time, Mills must use his “particular set of skills”, to track down the real killers, exact his unique brand of justice, and protect the only thing that matters to him now — his daughter. This article first appeared in The Edge Financial Daily, on January 23, 2015.